In December 2015, the Union Ministry of Environment, Forest & Climate Change (MoEF&CC) revised the standards for coal-based thermal power plants in India. It was a watershed moment for India’s thermal power sector. That is because the revised standards directly pointed out the sector’s contribution to environmental pollution in India. Through them, the government also asked the thermal power industry to comply and regulate their sulphur dioxide and nitrogen oxides emissions. But while there is much deliberation and discussion on the sulphur dioxide control measures, action on the issue of NOx control remains invisible. The elephant in the room remains the 300mg/Nm3 standard identified by the MoEF&CC. Ever since its introduction; power companies have been trying to push for a change of this standard upwards to 400 mg/Nm3. A large number of power stations came up between 2004 and 2016, and all of these need to comply. However, companies continue to claim that the standard is infeasible without the use of sophisticated and expensive technology like Selective Catalytic Reduction (SCR) and Selective Non-Catalytic Reduction (SNCR). Primary NOx control solutions, particularly low NOx burners, combustion optimisation and overfire air (OFA) dampers are insufficient, as per the line toed by the industry. The latest example of this is the tender released by the National Thermal Power Corporation (NTPC) for its power station in Dadri, Gautam Budh Nagar District of Uttar Pradesh. 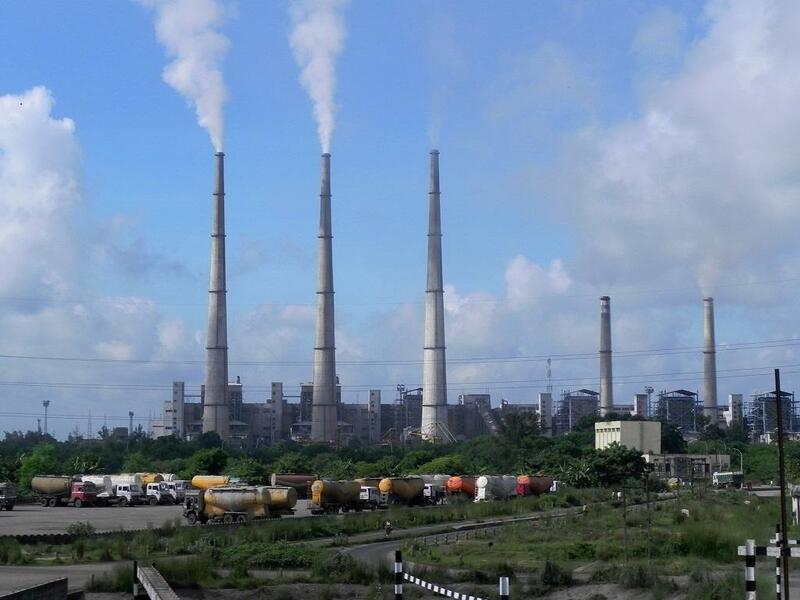 NTPC has asked interested suppliers to provide primary NOx control solutions for the power station. In this tender for two 490MW units of Stage II, the supplier’s performance criteria has been fixed at 400mg/Nm3, which goes against the standard. This deliberate obfuscation on part of the industry had earlier forced the Central Pollution Control Board (CPCB) to push the NOx compliance deadline for an overwhelming majority of thermal power stations to 2022. Another power station that has toed the same line somewhat is Talwandi Sabo Private Limited in Ropar, Punjab. The plant called in bids for SNCR systems for its power station to meet the 300mg/Nm3 standard. A large number of technical experts and industry suppliers disagree with this assertion. They contend that primary control solutions are sufficient in themselves for achieving the standard. Sufficient technical data has been put forth to back these claims, especially performance of power plants from across the world. Computational fluid dynamics studies recently conducted by the Finnish power company Fortum on some Indian power plants concluded that optimal combustion in the boiler system is sufficient for these power stations to bring down their NOx emissions below 300 mg/Nm3. One big reason for this continued pushback is the high ash content of Indian coal. However, several technical experts have stated that the high ash content is a problem for SCR technology, not the primary control solutions. Instead, it is argued that primary NOx control solutions, due to their action on the boiler operations, actually improve the thermal performance of the plant. NOx formation is a reflection on the thermal performance of thermal power plants and the boiler design. Suppliers suggest that in tangentially fired boilers commissioned after 2008, the NOx emission levels are noted to be around 400-500 mg/Nm3, provided the boilers are operated as per the pre-defined standard operating procedures. This is corroborated by the Centre for Science and Environment (CSE) assessments of more than 20 GW of thermal power stations across the country. Higher levels of over 700 mg/Nm3 can be found only in old boilers; very few of them are still in operation today. Therefore, the power sector claims raise doubts on their performance efficiency, meriting stricter scrutiny on part of regulators across the board, especially tariff regulators, whose role it is to ensure that sub-optimal performance is duly punished. Primary NOx control solutions also offer other advantages. They are cheaper than SCR/SNCR technology and need less time for installation and commissioning—the total time needed, including for boiler retrofits, is under six months. This can be overlapped with the annual overhaul schedule of power plants. This implies that the NOx standards, if pursued diligently with these solutions, can be met in a year’s time without much disturbance to the supply, another straw man that has been peddled around for long. Technology suppliers, both Indian and foreign, have sufficient experience of retrofits; so far though, the power plants have failed to meet the expectations on this matter.